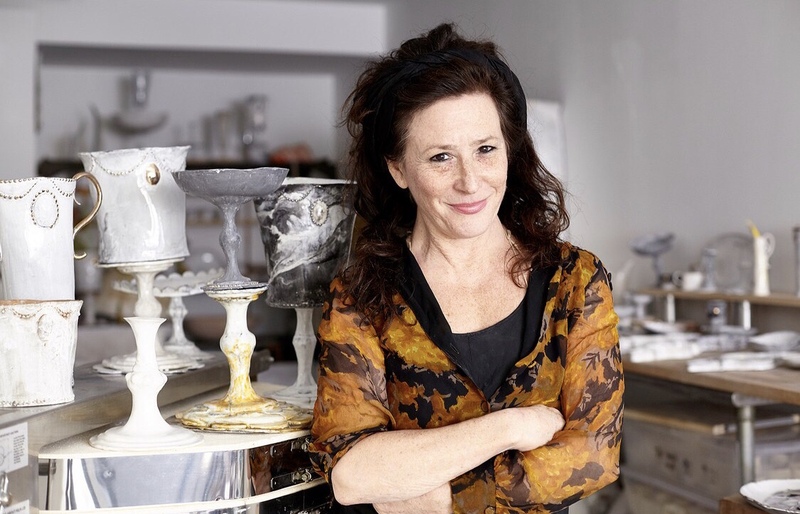 On today’s episode of All in the Industry®, host Shari Bayer chats with Margaret Braun of Margaret Braun Studio, a sugar artist & pioneering cake designer, whose work transcends edible media to sculpture, illustration, design & ceramics. Margaret’s boundary-breaking work which fuses the food arts with the fine arts has taken her to the Middle East where she created 2,000 cakes for a Royal Wedding, to Venice with a tiered sugar mosaic for a Masquerade Ball at Palazzo Grassi, and to a castle in Ireland for a Rock Star’s wedding. Based in New York, Margaret had an 8-month residency at The Museum of Arts and Design where she completed an installation of 2,000 hand-hewn sugar cups. She is the author of Cakewalk (2001, Rizzoli), and her work has been featured extensively in film and print. Today’s show also features Shari’s PR tip, Speed Round, Industry News, and Solo Dining experience at Mark Iacono’s popular pizzeria Lucali in Brooklyn, NYC. Listen at Heritage Radio Network and/or subscribe/rate/review our show at iTunes, Stitcher or Spotify. Follow us @allindustry. All in the Industry is powered by Simplecast.